One of the biggest concerns I hear from students is that they aren’t feeling very productive in college. It’s not that they aren’t trying to do their work or get good grades. In fact, I know a lot of these college students are going to class consistently, taking notes, and studying before exams. Still, no matter what they do, it seems like they just can’t seem to get everything accomplished, or at least get it accomplished well. This whole being productive as a college student thing should be simple, right? You show up for the lectures, read the text, take detailed notes, study for the tests, complete the assignments, and repeat. Unfortunately, this routine is really only effective if you tackle the first step in the productive process. 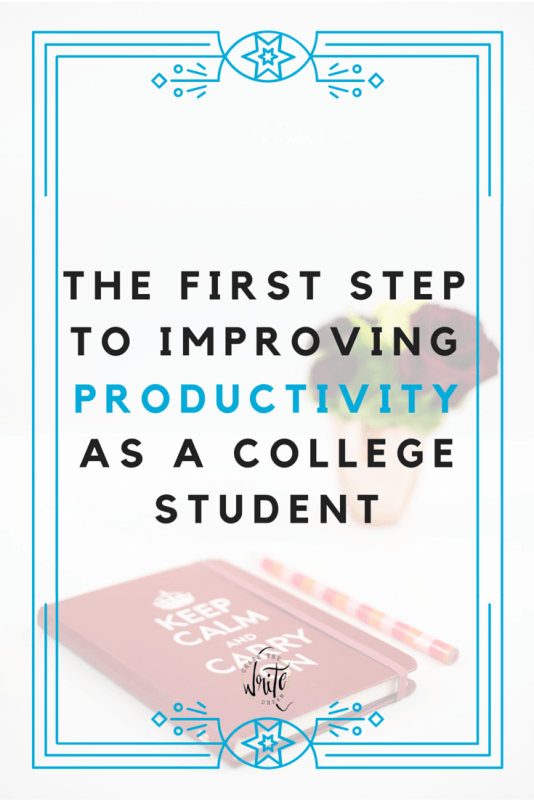 So what is that first step that you MUST take to improve productivity as a college student? You’ve probably noticed that you are more productive when you’re actually doing something you enjoy, right? Yeah, well obviously you aren’t going to feel all happy-go-lucky about every college class you take. In fact, that are probably going to be a few that you flat out despise and wish you could drop. And honestly, it doesn’t even have to be a class that kills your groove. It could be something as simple as reading a chapter that is longer than you would like or a paper that you dread writing. This one little hiccup in the process sends your brain into a downward spiral of procrastinating and dreading the task because you have no good feelings about it (except maybe that if you don’t do it, you know you won’t pass, and that means you can’t graduate… Anyways, you get the picture). 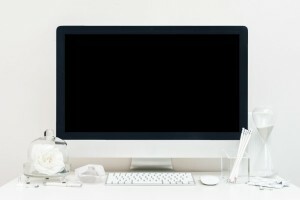 I Know I Have a Productivity Problem – Now What? Look, we’ve all been down the path of procrastination. It literally happens to even the best college students out there. But it isn’t enough to just admit that you have a productivity problem. I want to talk about the first step AFTER that because you probably wouldn’t be reading this post if you knew you already had a productivity problem. Making note of specific cues and tracking when they occur. It sounds easy, and I’m sure some of you are saying “yeah, I’ve done this before.” But have you really spent an entire day tracking what your cues have been and when they occur? And that’s totally ok because I didn’t do this for the longest time either, even though I knew I was a procrastinator. The truth is that just saying that I needed to turn off my phone or close my social media sites wasn’t enough to really get down to the root of the problem. I needed a system that was going to force me to focus on the problem and figure out when it was showing up the worst. The next day, I tracked every time I felt unproductive or dreaded doing an activity (I wrote down the time, what I was feeling, what I wanted to do instead of being productive, etc. Afterward, I was able to look back and see if there were any patterns in my tracking. For example, you may notice that you are less productive in the morning or right after getting out of class. For me, I noticed that I wasn’t very productive when I was hungry or if I didn’t have water in front of me. To this day, I have made it a habit to always have snacks and water around. And you know what? I’m more productive than I’ve ever been in my life! Understanding your patterns and what sets you off or helps you be more productive is literally the first step toward improving productivity as a college student. I promise you that you won’t see consistent change in your time management and productivity habits if you only scratch the surface and admit that you have a problem. You have to go deeper than that. Self-reflection is one of the most powerful tools we have and it’s a shame that it’s so underutilized by not only students, but by adults in the workforce as well. 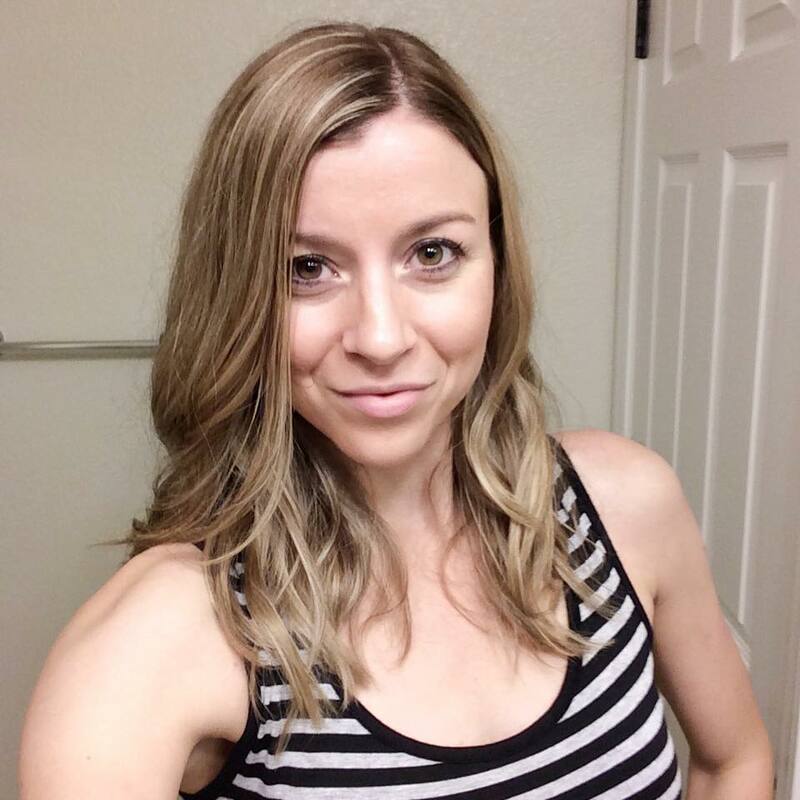 I’m not going to lie… You will probably have thoughts running through your head like “why am I doing this” or “what’s the point of tracking every little detail,” but trust me when I say that the more detailed you get and the more honest you are with your responses, the better your outcomes can be. The path to improving productivity isn’t an easy one and it’s going to take some time to see the changes in your life, so don’t expect that your life is going to change overnight! With that being said, I’ve created two courses to help you with your journey – Productive Planning and Stress-Free Scheduling. Productive Planning is a free seven day email course that addresses time management as a whole and gives you a good starting point for being successful with your productivity journey. Stress-Free Scheduling is the in-depth course that dives much deeper into time management and productivity. In addition to helping you find your ideal productivity technique, you’ll also receive worksheets to help you work through your greatest time management struggles. Did I mention that there is also a private community only for students?! Oh yeah, I’m going to be there helping you create your schedules, holding you accountable, and answering any questions you have. This is a huge bonus because research has shown that people who have a community to be involved with actually do much better than those that don’t. You can get more details about Stress-Free Scheduling here or start with the free 7 day email course, Productive Planning. What things cause you to be less productive? Let me know in the comments below!